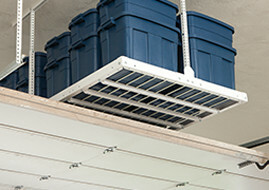 The Monkey Bars Garage Storage System is as unique as it is versatile. 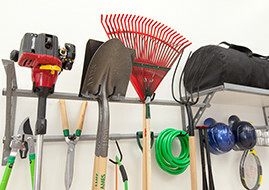 No other garage storage system on the market can get your space as organized as ours. Let us help you get your car and floor space back in your garage. This shelf incorporates a typical shelf with storage hooks and is a storage masterpiece. This shelf utilizes storage space up high while the bars and hooks utilize wall space for easy access. Each four-foot section of shelving can hold 1,000 lbs of weight! This is the best garage storage in Richmond. 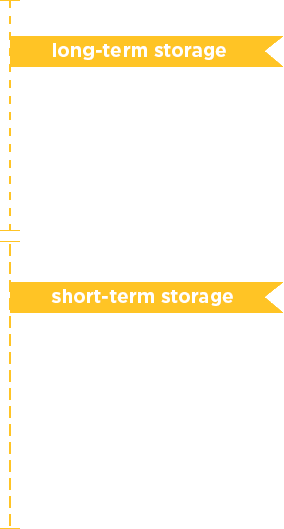 Our unique shelving allows you to store long-term storage items like boxes and totes. The bars below allow you to store short-term or daily-used items at eye level for the most accessible garage organization in Richmond. We assess your garage storage needs and build a customized solution and plan to get your space in order. 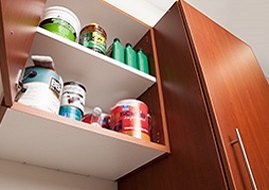 With products like cabinets, shelving, overhead storage racks, there isn't a mess we can't tackle. All of our shelving is backed by a lifetime warranty. We only use the strongest materials to make each piece of our Monkey Bars system. Our products are made of powder-coated, industrial steel and the hooks that hang below are rubber-coated to protect your items. We truly have the strongest garage storage Richmond has to offer, and our industry-leading garage organization is top of the line. So what are you waiting for? 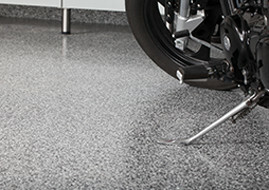 Want to transform your garage? Click the button below to get a free estimate! We offer our award winning garage organization and garage storage in Richmond to Williamsburg, the Peninsula, Suffolk, Hampton, Newport News, and Isle of Wight. Contact Us To Get The Garage Storage Richmond Families Love!